Phrases like “self-driving vehicles” and “automated driving” are making headlines as manufacturers continue to implement automation in vehicles. Automation involves the use of computers to control certain components involved in operating a vehicle, reducing the extent to which human drivers must monitor their surrounding environments. Many manufacturers already use some automation in their vehicles for safety and efficiency, including cruise control, blind-spot monitoring and automated parallel parking. Certain Mercedes-Benz vehicles, for instance, use a scanning system to retrieve information about approaching collisions, allowing the vehicle to apply a certain percentage of the brakes to alert the driver. This technology marks the beginning of a gradual evolution toward fully autonomous vehicles. As we remove human drivers from the road, questions will arise regarding accident liability and insurance coverage. Changes to liability for accidents and insurance coverage will depend in part on the level of a car’s automation. The evolution begins with semi-autonomous vehicles, which can control certain aspects of driving on their own, such as acceleration, deceleration and steering, but which require a human driver to be available to take control at any moment. In 2016, the U.S. Department of Transportation adopted a framework in which the Society of Automotive Engineers (SAE) identified six levels of driving automation. No automation (Level 0) requires the full-time performance of a human driver even when the vehicle includes some automation elements, like a warning system. The need for human drivers begins to decline at Levels 1 and 2 with the vehicle taking over steering, acceleration or deceleration in some circumstances at Level 1 and in all circumstances at Level 2. For both of these levels, however, the human driver is expected to perform all remaining driving responsibilities. Level 3 shifts most tasks to the vehicle, with the human driver only expected to intervene to avoid accidents. A fully autonomous vehicle is one that does not require any human interaction to reach its destination. These vehicles fall under Levels 4 and 5 of SAE’s framework, meaning that the vehicles will respond to other vehicles, pedestrians and cyclists even if the human driver does not intervene. Google’s original autonomous prototype, called Firefly, had no steering wheels, pedals or airbags, but its speed was limited to 25 miles per hour. Google retired this model for a more road-practical Chrysler minivan to continue developing its fully autonomous technology. There are estimates that fully autonomous vehicles may debut as early as the end of the decade and may dominate roadways by 2050. As technology evolves, so too will the legal landscape governing autonomous vehicles. Congress is currently considering legislation that would delegate oversight of the design and manufacture of autonomous vehicles to the National Highway Traffic Safety Administration. States would continue to regulate insurance markets and enforce traffic laws, and many are already considering specific bills related to automated driving. In Pennsylvania, a bill regulating testing, inspections and registration was proposed in February 2017 and is under consideration in the state senate. As autonomous cars become more common, manufacturers and consumers may face a patchwork of state and federal regulations. Google began developing its autonomous vehicle technology in 2009 and established a separate entity, Waymo, in 2016 to continue its innovation. Waymo uses a combination of lasers, radar and cameras to gather and predict information about nearby objects, including other vehicles, pedestrians and construction markers. This information is combined with GPS data and a digital map to navigate the drive without the need for a human driver. The first non-employee trip in one of these vehicles occurred in 2015, and the company now offers an Early Rider Program in Phoenix to publicly test the vehicles. Car manufacturers, such as Tesla and Ford, are expected to lead the way in self-driving vehicle production, with Tesla executives predicting their company will be the first in the country to release a fully autonomous vehicle. Ride-sharing services deploy developing technologies too. Uber, for example, currently has semi-autonomous vehicles in Tempe, Ariz.; San Francisco; and Pittsburgh. Uber’s self-driving technology requires a safety engineer behind the wheel who can take control at any time. The company measures the success of the technology by analyzing how many miles are driven before a human driver must take control, whether for critical reasons or simply because of bad experiences such as jerky motions. On average, Uber’s vehicles travel approximately eight-tenths of a mile before the driver needs to take over, which indicates that the system still has much to learn. As test vehicles and prototypes hit the road, many people are wondering who will bear responsibility when accidents happen. Traffic fatalities in 2016 reached the highest point in almost a decade, and 94 percent of crashes involved human error. Because contributing factors often include speeding, intoxication, distraction or drowsiness, proponents of autonomous vehicles predict a decrease in both the number and severity of accidents. Accidents involving autonomous vehicles, however, have also made the news. Two fatal crashes involving Tesla’s semi-autonomous vehicles occurred in 2016; one of the accidents occurred in Florida when the vehicle failed to recognize a truck. An Uber vehicle was also involved in an accident in March 2017 when a driver in another vehicle failed to yield. Other critiques of Uber’s semi-autonomous technology include the vehicles running red lights and cutting off cyclists. While proponents tout the potential safety benefits of autonomous vehicles, many people want to know who will be liable when accidents occur. Without a human driver to blame, the focus of accidents will shift to manufacturers of vehicles and the computer software they employ. With human drivers out of the equation, manufacturers may find themselves facing a product liability claim if their autonomous vehicle winds up in an accident. Strict product liability claims are based on consumer expectations that products should not be unreasonably dangerous, and for autonomous vehicles this may include manufacturing and design defects. Manufacturing defects could include having a prototype-like system in the vehicle rather than a market-ready version. Design defects could complicate legal matters, especially with semi-autonomous vehicles. A Level 2 autonomous vehicle, for example, may provide some services but still require the driver to take control at any time and on short notice. An injured driver may bring suit, arguing that the vehicle did not give him enough reaction time to prevent an accident. A court would have to decide how to apportion liability between the manufacturer and the driver. Another potential claim could be negligence for failure of a manufacturer to anticipate foreseeable road or driving conditions that negatively affect how a vehicle navigates on its own. A company could also face misrepresentation or false advertising claims if it provides false or misleading information about its vehicles’ capabilities, which consumers reasonably rely on, leading to harm. Finally, an accident victim may have a claim if a manufacturer fails to warn customers about certain risks and responsibilities of the human driver in autonomous mode. For self-driving vehicles, a manufacturer’s duty to warn consumers may extend beyond the sale, especially in terms of recalls and software updates. Aside from the personal injury context, autonomous vehicle accidents will also cause property damage. Additionally, with so much reliance on computer software, cybersecurity will be a prime concern, as hacked autonomous vehicles would pose a threat to public safety. Regardless of the possible legal claims available to victims of accidents, some manufacturers have already promised to accept full responsibility for accidents involving their companies’ autonomous vehicles. For example, in October 2015, Volvo President Håkan Samuelsson stated that Volvo will accept full liability if its vehicles are involved in an accident in autonomous mode. Manufacturers may be doing this to show their trust in autonomous vehicles’ reliability and safety. Dependence on manufacturers for liability may also persuade consumers to overcome any fears they may have about the technology. Finally, the possibility exists that states or the federal government will enact legislation addressing liability for autonomous vehicle accidents. How Will Safer Vehicles Impact Insurance? If autonomous vehicles are safer and more able to prevent accidents, what does that mean for automobile insurance? A 2015 study by global consulting firm McKinsey & Co. predicted that autonomous vehicles could eliminate up to 90 percent of accidents, which may produce a ripple effect on the automobile insurance industry. The industry currently uses data on claims histories and driving records to predict future risks. Looking forward, the focus will likely shift to manufacturing defects rather than historical data related to drivers. Automobile insurance is unlikely to vanish, however, because car owners will continue to insure against losses caused by weather, vandalism and theft. Some in the insurance industry believe that if a manufacturer’s autonomous vehicle technology makes a vehicle safer, liability premiums may decrease. Manufacturers that accept liability for accidents will likely take out additional policies to cover any damages; thus, consumers may pay lower insurance premiums while facing higher prices for autonomous cars. In Asia, Tesla has begun selling automobile insurance along with its vehicles as part of its goal to eventually include insurance with the purchase of all vehicles. The idea may be successful for autonomous vehicles ranked at Levels 4 and 5, where the human driver is not doing anything behind the wheel. For Levels 3 and below, however, the insurance implications will initially depend on each specific incident. If the accident includes both vehicle malfunction and human error, the manufacturer’s and driver’s insurances may be involved, showing that autonomous vehicles, at least for the time being, will not eliminate the need for automobile insurance. In sum, the evolution of autonomous vehicles will fundamentally alter the nature of automobile accident liability and insurance coverage. Early accidents will provide a legal backdrop for civil litigation involving autonomous vehicle technology, and the insurance industry will face changes to the demand for its products. Companies and consumers alike should stay abreast of developments in autonomous vehicle technology and the ensuing changes to the legal, regulatory and business landscapes. The attorneys at McNees Wallace & Nurick LLC regularly monitor and advise clients as to legal developments and technological advances in the transportation industry. 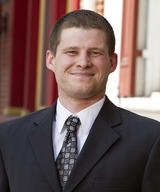 James J. Franklin, Esq., is a member in the Litigation and Personal Injury Practice Groups at McNees Wallace & Nurick LLC. He can be reached at jfranklin@mcneeslaw.com. Thomas S. Markey, Esq. is an associate in the Litigation Practice Group at McNees Wallace & Nurick LLC. He can be reached at tmarkey@mcneeslaw.com. Alexandra Snell was a 2017 summer associate at McNees Wallace & Nurick LLC. Greg Walden of McGuireWoods looks to the 19th century to explain the 21st-century issues confronting the standards and risks surrounding autonomous vehicles. CCBJ: As driverless cars become a reality, what top legal concerns are keeping corporate counsel up at night?